April 16, 2019 7:00pm Monthly Meeting at Whitworth Elementary School. May 18, 2019 8:30 am -Noonish Pond Fly at Olson's Pond. 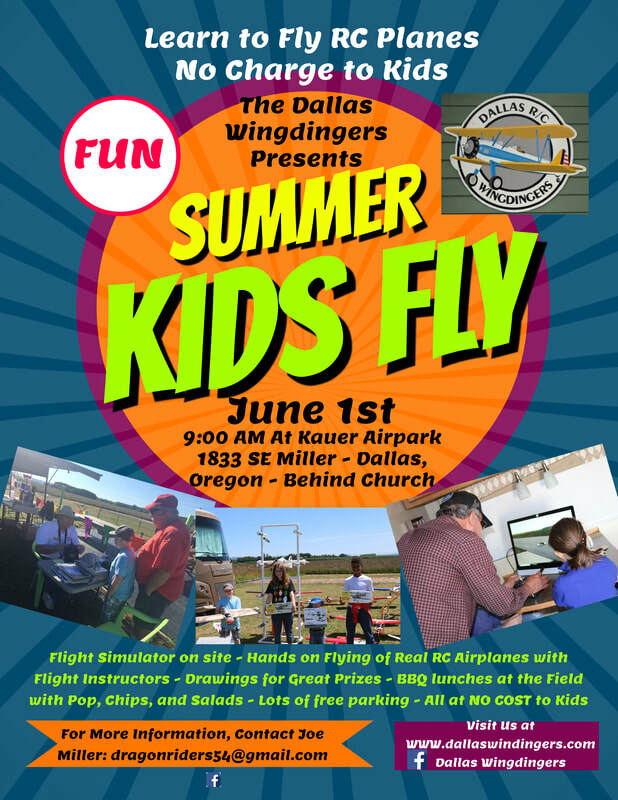 May 19, 2019 1:00-3:00pm Indoor Fly at Whitworth Elementary School. May 21, 2019 7:00pm Monthly Meeting at Whitworth Elementary School. June 1, 2019 AMA Day Kids Fly, PUBLIC WELCOME. SEE FLYER BELOW. ​June 22, 2019 8:30- Noonish Pond Fly at Olson's Pond. June 18, 2019 7:00pm Monthly Meeting at Flying field. July 6, 2019 WARBIRD Fly in 9:00am to ??? at Wingdinger's field 1833 SE Miller Avenue, Dallas. ​July 16, 2019 7:00pm Monthly Meeting at Flying field. July 20, 2019 8:30-Noonish Pond Fl at Olson's Pond. August 17, 2019 Multi club float fly at Olson's Pond. August 20, 2019 7:0pm Monthly Meeting at Flying field.